George Michael’s cause of death was from natural causes, a coroner has revealed. CNN reports that a British coroner announced Michael passed away from dilated cardiomyopathy with myocarditis and fatty liver. The singer was found dead at his Oxfordshire home on Christmas day last year. He was 53. Dilated cardiomyopathy limits the heart’s ability to pump blood and myocarditis is inflammation of the heart muscle. Fatty liver can be caused by alcohol abuse but is also seen in cases where people are overweight or obese. Police first called Michael’s death “unexplained but not suspicious” but since the final post- mortem report has been received investigation into his death has been discontinued. Michael’s 35-year career, which included reported substance abuse, was highly successful selling more than 100 million albums and winning two Grammy awards. Netanyahu acknowledged that settlements were "an issue" in the Israeli-Palestinian conflict– if not a primary obstacle to peace. Russia this year is marking 100 years since the Russian Revolution ended the country's monarchy, an event that led to the creation of the Soviet Union, a communist regime that for much of the 20th century ruled an empire. Despite the significant anniversary, Russian authorities have been cautious about how to observe it, apparently fearful of inciting divisions, especially in the wake of a revolution in neighboring Ukraine. The Russian Revolution changed the course of history as the monarchy was replaced by a communist government — the world's first. "These are the greatest events — both February and October [revolutions]," said Boris Rivkin, with the historical cultural museum complex in Razliv. "One should not idealize them. But it was a turning point, a change of the state system, a change in the state of minds and social relations." Hiding place Russia's communist revolutionary leader, Vladimir Lenin, hid near the museum's countryside location for a few days in July-August 1917 in a shed, as well as a shelter made out of hay. 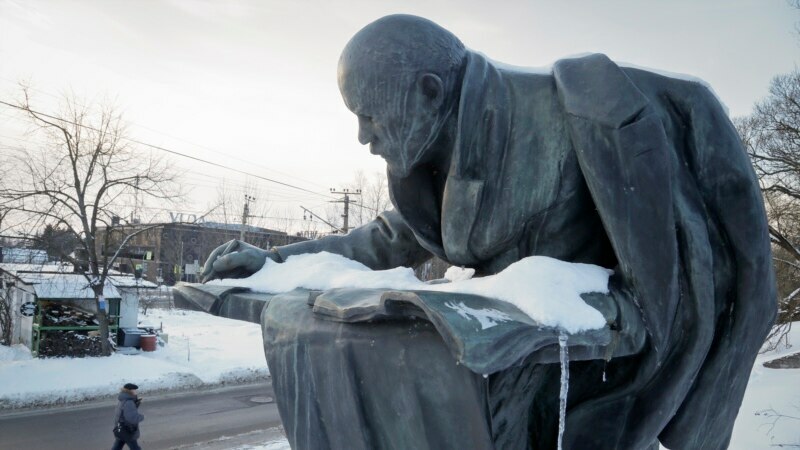 A giant cement bust of Lenin sits near the woods outside the museum, which tells the story of Russia's Bolshevik leaders and has a small exhibit of modern art paintings of Lenin. Despite the collapse of the Soviet Union in 1991, its global influence continues to be felt, from former Soviet republics to other communist movements it inspired, and from Asia to Africa to South America. WATCH: Russian Monarchy Still a Touchy Issue, 100 Years After Revolution "It is impossible not to mark the revolution at all. This is a global event, and it affected the entire history of Russia and the whole world," said the State Museum of Political History's Sergey Spiridonov. "But it is quite unclear, both for the authorities and many other people, whose side to choose in this revolution," said Spiridonov. "We do not seem to support Bolsheviks anymore; we try to avoid this situation, to keep a distance from the Bolshevik ideology. But nevertheless, we realize that the present Russia is a successor of the Soviet Union." In contrast to the Soviet era, however, the Russian Revolution's centenary observances are being played down by Russian authorities, who instead are urging reconciliation and unity. "It is clear now that it is no holiday! Though this is quite a grand, significant and commemorative event for our country," said Spiridonov. "The president [Vladimir Putin] was probably right to some extent when he called for a certain national reconciliation in connection with this date, because we have not yet survived through the situation of the revolution to the very end." Spiridonov said a democratic Russia would probably be expected to honor the Provisional Government, which came to power immediately after the popular uprising against the monarchy but was then overthrown by Lenin and other communist leaders. "There is no split in society in relation to these events, but authorities are concerned about that," said the Saint Petersburg Institute of History's Igor Lukoianov. "And, they try by all means to be quite cautious in assessing those events, so as not to cause again an antagonism in society." On this 100-year anniversary, the Soviet Union's many victims are remembered as much as its achievements. The Russian Civil War, Stalin's Red Terror and Russia's involvement in World War II cost the lives of countless millions. The 2014 Ukrainian Revolution reinforced Russia's wariness of movements and radical political change at home. Russian officials called the popular uprising against Ukraine's former Moscow-leaning President Viktor Yanukovych a "coup" backed by Western governments. Yanukovych fled to Russia, which annexed Ukraine's Crimean Peninsula and launched military support for rebels in eastern Ukraine. 'October Coup' Since the collapse of the Soviet Union, Russians increasingly refer to the "Bolshevik Revolution" as the "October Coup." "There is a difference between a coup d'etat and a revolution with masses [of people] involved," said Lukoianov. "I shall not take a risk to answer that it is the last one, but it might not be a surprise to me that power might be changed and possibly by a nonconstitutional method." A century later, the 1917 revolution that shook Russia and the world is no longer a cause for celebration, but a time for contemplation. WASHINGTON (Reuters) - Iraq was dropped from President Donald Trump's revised travel ban because of both the steps it is taking to better vet potential travelers and its cooperation in the fight to destroy Islamic State, the U.S. State Department said on Tuesday. Posted by mikenov on Tue Mar 7 20:54:17 2017. Is a grand conspiracy killing Russian diplomats? Or is it demographics? American politicians should stop tempting fate by demonizing Russia and acting in ways that seem to confirm that the U.S. poses a threat to Russia. Wiretaps on Americans in foreign intelligence investigations are not easy to get. And if you're a candidate for president, it's even harder. President Trump asks Congress for help finding evidence to support his claim that former President Obama had Trump's telephones tapped during the election. Analysts reportedly tucked classified information about Russian election meddling inside Intellipedia for safekeeping. North Korean leader Kim Jong-Un looks at a warhead tip in this photo released by North Korea's Korean Central News Agency. Cropped screenshot from Wikileaks (https://wikileaks.org/ciav7p1/cms/index.html), March 7, 2017. Are Trump Advisors Accessories To A Russian Plot For European Energy Dominance? Thirty-eight percent oppose an outside probe into alleged links between Trump's campaign andRussia, while 7 percent are unsure. Pollsters also found that most respondents have serious concerns about Russian interference in last year's White House race. 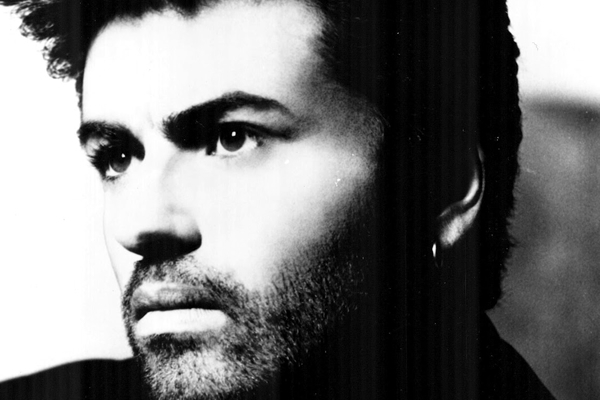 George Michael died of natural causes, the coroner investigating his death revealed early Tuesday. The legendary singer suffered a dilated cardiomyopathy with myocarditis and fatty liver, according to the senior coroner for Oxfordshire, Darren Salter. VIENNA (Reuters) - U.S. President Donald Trump's administration pledged on Tuesday to show "great strictness" over restrictions on Iran's nuclear activities imposed by a deal with major powers, but gave little indication of what that might mean for the agreement. WASHINGTON (Reuters) - The United States has told China that Washington's deployment of the anti-missile defense system THAAD in South Korea is a defensive measure against North Korean threats and does not pose a threat to China, the U.S. State Department said on Tuesday. WARSAW (Reuters) - The Polish government approved on Tuesday a draft bill that would give parliament a bigger say on the appointment of judges, a move the country's top judiciary council and ombudsman said would violate the constitutional separation of powers. 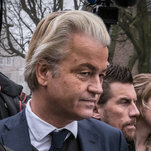 Geert Wilders at a campaign stop in Spijkenisse, the Netherlands, last month. The far-right Dutch lawmaker has drawn support from some American conservatives. Hours after Mosul’s municipal complex was declared liberated by the country’s top military commanders and U.S.-led coalition officials, the wounded began pouring into a small frontline clinic just a few hundred meters away. Lawyer Amal Clooney says she has heard "harrowing" testimonies from the ethnic Kurdish group. It marks the second meeting in a month between Gen. Joseph F. Dunford Jr. and his Russian counterpart. A word of caution: Wikileaks has in the past habitually exaggerated the quantity and quality of its leaks. We do not yet know exactly what we are dealing with. For example, Wikileaks touted its “introductory disclosure last month of CIA targeting French political parties and candidates in the lead up to the 2012 presidential election.” The shocking revelation that the CIA…does its job generated less of a splash than they seemed to be anticipating. That said, these documents appear to be a collection of developer notes and related materials from an internal development server. And Wikileaks promises more, both some of the currently redacted documents in this dump and potentially other archives. The story here isn’t that the CIA hacks people. Of course they do; taxpayers would be right to be annoyed if that weren’t the case. The CIA’s job, after all, is collect intelligence and while its primary purview is human intelligence, hacking systems interacts synergistically with that collection. The actual headline here is that someone apparently managed to compromise a Top Secret CIA development environment, exfiltrate a whole host of material, and is now releasing it to the world. The compromise appears to have occurred in February or March 2016. It would be a pretty extreme violation for someone with a Top Secret clearance to spread this archive around, and it is exceeding strange a “whistleblower” would use Wikileaks instead of an actual news outfit like the Guardian or the Washington Post. To my mind, there are pretty limited suspects who would have both the capability of exfiltrating from a Top Secret CIA network and who would want to both boast about it and damage the CIA by releasing this archive to Wikileaks. Presumably more information will emerge on this count. "While I am reasonably tolerant of the US government retaining exclusive iOS 0-days, it should not be holding onto the 0-day once there is reason to believe it has been compromised by an adversary." WASHINGTON (Reuters) - The U.S. State Department is working closely with the White House on formulating the next steps in seeking peace between Israel and the Palestinians, a spokesman said on Tuesday.